Why Do I Crave Sugar in the Middle of the Night? A good night sleep is very important to help you feel energized and allow you to accomplish all of your daily activities. Waking up in the middle of the night can compromise your sleep and prevent you from going to all the different stages of sleep that are required for your body to fully recover from the previous day. If you have diabetes, craving sugar in the middle of the night or any other time of the day could indicate that you are dealing with low blood sugar levels, according to Dr. Ronald Hoffman, founder and medical director of the Hoffman Center in New York City. Low blood sugar levels, or hypoglycemia, can be responsible for your carb craving in the middle of the night if you have diabetes, especially if accompanied by other hypoglycemia symptoms like dizziness, sweating, nightmares, hunger, confusion and anxiety. The only way to confirm that your sugar cravings are due to a drop in your blood sugar levels is to check your blood sugar levels with the help of a glucose meter whenever you experience your symptoms. Ask your doctor to prescribe you your own blood glucose meter. A blood sugar level lower than 70 mg/dL indicates hypoglycemia. If you have a low blood sugar levels more than twice a week, consult your doctor because you may require adjustments to your medications or insulin. A doctor may need to investigate further if you don't have diabetes. 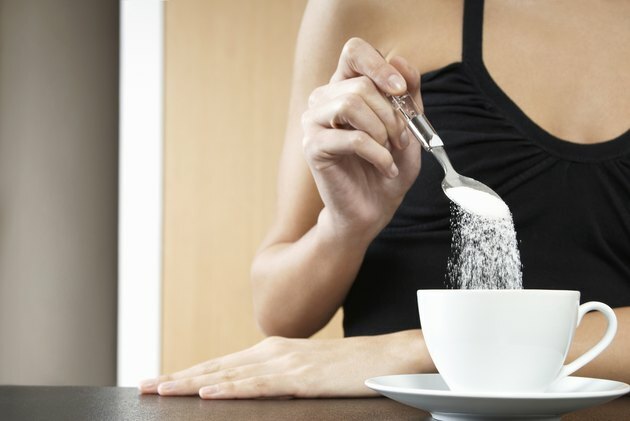 To treat hypoglycemia, consume the equivalent of 15 grams of quick-acting carbohydrates, whether from three to five glucose tablets, 1 tablespoon of honey, 1/2 cup of regular soda or juice, or 1 tablespoon of sugar dissolved in water, the National Diabetes Information Clearinghouse recommends. Preventing future hypoglycemia from happening is the next step to help you get the restful sleep you need. Following a balanced diet can help you keep your blood sugar levels more stable throughout the whole day. Using your blood glucose meter is also a good way to learn more about how food and your overall lifestyle influence your blood sugar levels. Your diet should consist of small and frequent meals with a small amount of fiber-rich carbohydrates, such as whole fruits, plain yogurt, vegetables, sweet potatoes or whole grains. Avoid refined carbohydrates such as white bread, white potatoes, desserts, sugar and sweetened drinks. Always complete your meals with some protein and fat, such as eggs, cheese, nuts, poultry, fish, meat, olive oil or avocado. Consult a registered dietitian for help stabilizing your blood sugar levels and preventing blood sugar lows.